Are you ready to experience an outdoor kitchen design & manufacturing company that cares about customer service? We strive to do it right, the first time around. Barbecue Concepts of Las Vegas, Nevada is your source for premium barbecue grills and the most amazing outdoor kitchens in town. We’re Southern Nevada’s local outdoor living design company. 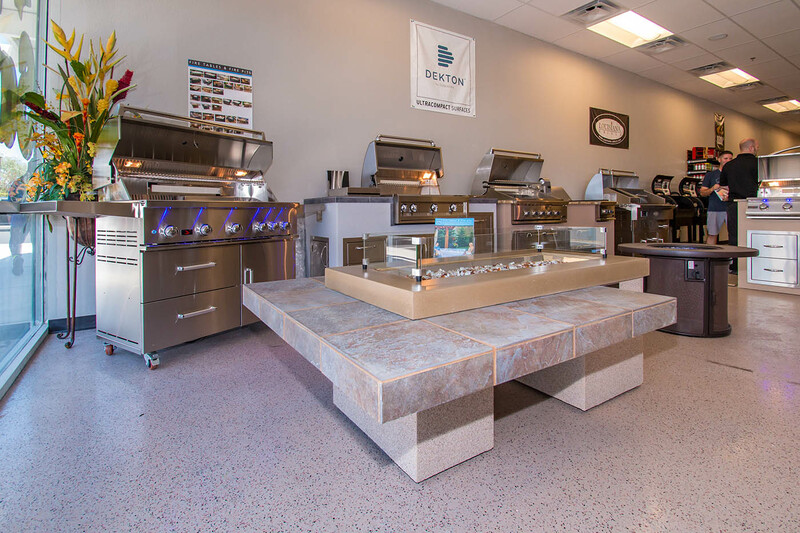 From concept to completion, we’re here to ensure you get the custom barbecue island you’ve always imagined. We’ll start by learning about you and your culinary objectives. When you choose the pros here at BBQ Concepts, you can rest assured you’re getting exactly what you want and need in an outdoor living environment. Want to install a traditional style Italian pizza oven? How about integrating a wood pellet smoker? Your options are almost unlimited when it comes to a diverse range of outdoor culinary equipment. We have it all! We invite you to join us at our showroom located on the Southwest side of town. Or you can call or direct message us right here on our website. We understand our clients. We want you to be happy with your custom outdoor kitchen area. That’s why our BBQ Concepts design process was created. To ensure that our customers know exactly what they’re getting in their custom outdoor kitchen build. We develop and design with CAD (Computer Aided Design). CAD technology allows us to present a design or designs to our customers for approval. CAD eliminates most misunderstandings or errors that can occur during the concept phase. This process happens before we ever start the actual construction process. Between planning, design, and open communication with our customers, we feel confident that we can deliver exactly what you want, and always within your predetermined budget. Outdoor Kitchens are becoming a normal addition to the American home. They are considered an extension of the indoor residence, acting as a place to grill, dine, and socialize. This isn’t something new though; Mediterranean people have been doing this for hundreds of years. In all actuality, it can be considered a part of their culture.